Two days before the start of the European Indoor Championships, Minister of Youth and Sports Vanja Udovičić took a Kombank Arena tour accompanied by President of the Serbian Athletics Federation Veselin Jevrosimović. - I invite all citizens and sports and athletics fans to come and cheer for our athletes who rightfully deserve it since they have progressed so much in the last three years. During these three years, they have won 13 medals. Once again I confirm that everything is ready and I am proud to say that we are waiting for the spectacle fully prepared. President of the AFS added that the Arena is completely functional. – Tomorrow is the rehearsal after the Balkan Indoor Championships. This is the most complex engineering and technological project ever done in the Arena. I am inviting everybody to come on Friday, Saturday and Sunday to support our national team members, 12 of them, which is by no means a small number. They will give their best to make the country proud. 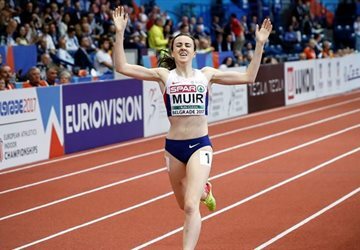 Once again, the European Indoor Championships is staged in the Kombank Arena, from 3-5 March. On the first day of competitions, there are eight of our competitors scheduled to participate. 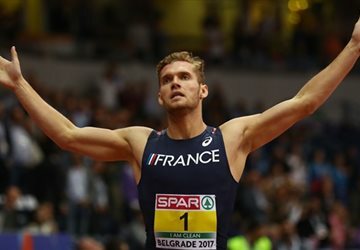 Mayer breaks European heptathlon record!